44-year-old male with hypotony maculopathy of the left eye after suffering a traumatic cyclodialysis cleft from a fireworks injury. 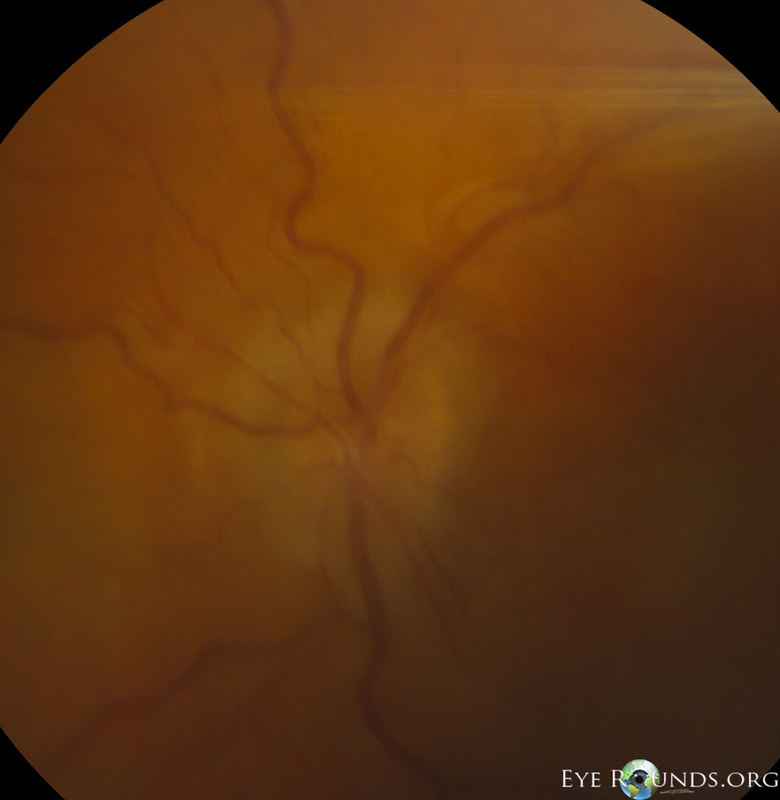 The OCT image shows diffuse choroidal folds and central subretinal fluid. There was also optic disc edema as shown in the fundus photograph. Hypotony is defined as an intraocular pressure low enough to result in decreased vision; mechanisms include corneal edema, cystoid macular edema, maculopathy, choroidal folds and optic disc edema. Risk factors for hypotony maculopathy include male gender, young age, myopia, and glaucoma filtering surgery.